The best way to cool down after enjoying time in the sun is by experiencing the excitement of leaping over the waves in Dickenson Bay on an inflatable banana boat ride. 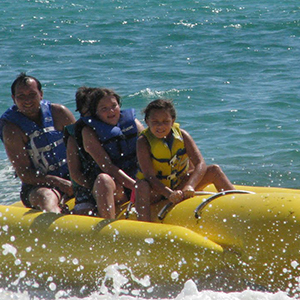 Safe for the entire family, our banana boat rides are crewed by experienced and professional staff. It seats up to six riders with life jackets that comfortably fit kids and adults. 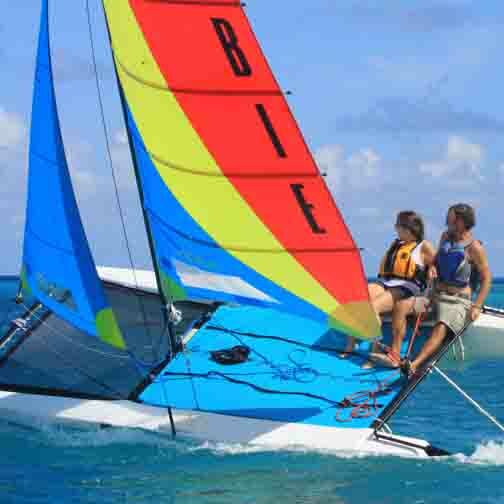 For both sailors and non-sailors, there is no better way to explore Antigua's coastline than sailing along the shores. Lessons are provided for non-sailors if needed. Whether you jump the waves, feel the rush, or just cruise along on the water, our Yamaha Jet Skis are a must! Each Jet Ski safely accommodates two people. 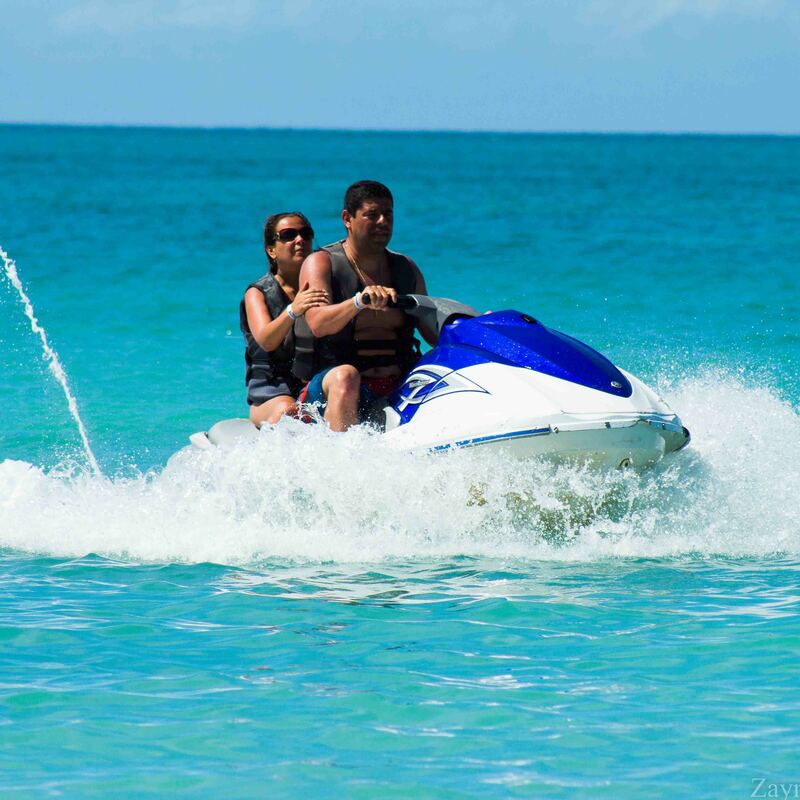 We provide top of the line machines featuring the newest model Yamaha Jet ski/Wave runners. Life Jackets are provided, and mandatory for all riders. 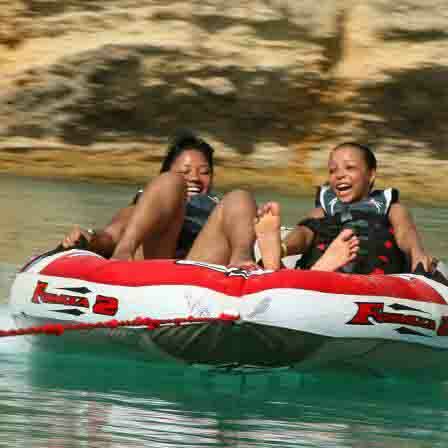 Similar to the banana boat, tubing is another great way to have a "S-P-L-A-S-H-ing" time on the island! Towed behind a 17ft Sea Ray (speed boat) with a 115 Yamaha 4 stroke engine, perfect for waterskiing, wakeboarding and other water sports activities; our tubes comfortably seats two riders. Life jackets are provided for adults and kids. Our Speed Boat is also available for private charters. 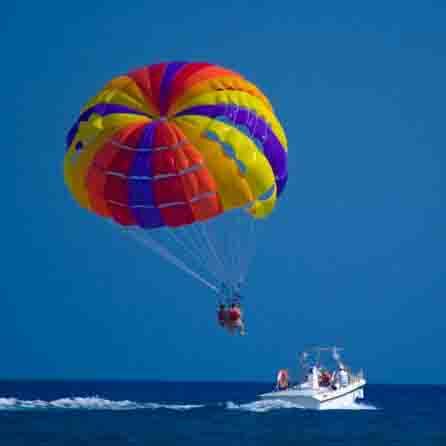 Experience a fun, safe, relaxing, and affordable adventure as you glide over Dickenson Bay from above, a view that takes your breath away! Our professional and experienced staff will keep you safe while you enjoy every moment of your experience. Riders take off from the boat and land on the boat. Imagine a view from as high as 600 ft.! However, individuals can suggest their comfort height. Having a waterproof camera with you will indeed allow you to capture every moment of this non-forgettable experience! Observers are welcomed! There are various fishing options available including Deep Sea or Bottom Fishing on our 46ft sport fishing boat fully equipped for an action pack day out of sport fishing! Our fun and experienced staff welcome you to our shores where the beach is only the beginning! Visit our sister island Barbuda, the Caribbean island with pink sand beaches. 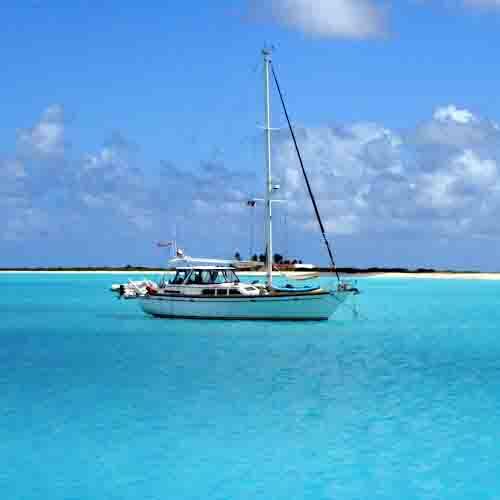 Located 32 Miles North of Antigua with a population of about 1,638, Barbuda is only about a 1.5 hrs. boat ride from Antigua. We provide Barbuda day trips, which include food and drinks. In addition to snorkeling, guests have the option of visiting the Frigate Bird sanctuary, one of Barbuda's most popular tourist attractions. The perfect island for a family getaway! We offer day charters to Bird Island, which is a small offshore island in Antigua, where you have a lovely picnic day out and can relax on one of two beaches. Drinks and food included. This trip requires a minimum of 6 people. Boats are available for private charters of your choice. We are here to provide you with the best possible vacation of YOUR dreams! The reason you decided on going to the beach for vacation is to be able to relax! Here at Tony's, we recognize the need for comfort. As such, we provide not only beach lounges, but also umbrellas, canopies and floats for rent! Guests have the option of choosing between standing beach umbrellas or canopies which both provide maximum shade. Beach floats can be used as a cushion on the lounges and even as a float in the sea. Once rented, the beach chairs/lounges, umbrellas, canopies and floats are yours for the entire day! Options are available even at the waterfront! Can you imagine swimming with some of Caribbean's most colorful fishes? Parrot fish, Snapper, turtles, Grunts and much more! What better way to explore the wonders of a world beneath the water surface? Paradise Reef, A 1mile coral garden of stunning beauty, located north of Dickenson Bay, provides many varieties of tropical plants and marine life which brings a breath taking view of life and color to the underwater world. While there are hundreds of places to snorkel in Antigua, Paradise Reef has gained a reputation for being more popular than others. Paradise reef is a mile long reef formation, 7-12ft deep, (ten minute boat ride from Dickenson Bay) far enough not to be overcrowded. 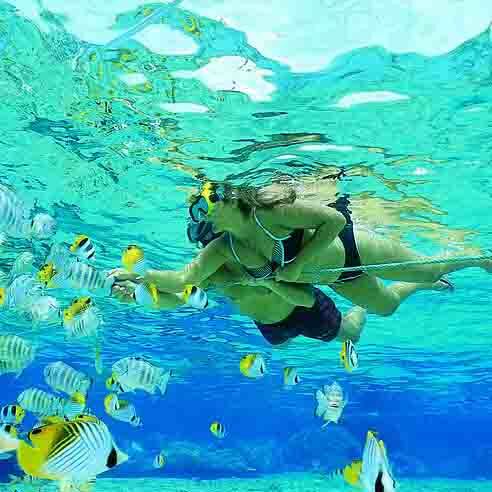 Snorkel for an hour in one of Antigua's finest reef known as Paradise Reef. Total trip is 1.5 hrs. Equipment's and refreshments are provided.